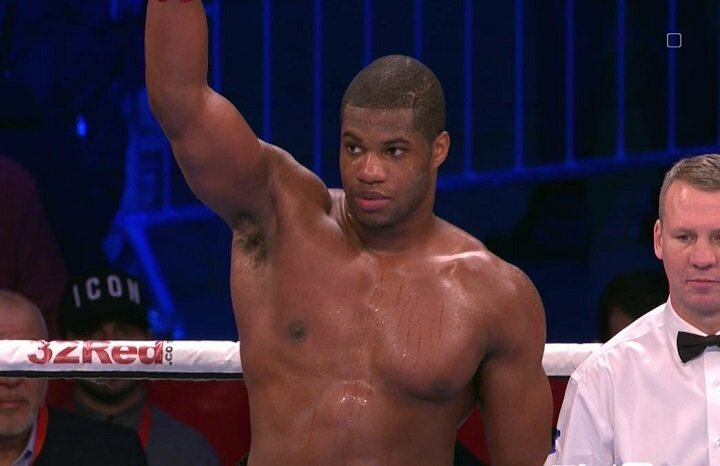 Last night in Leicester on Frank Warren’s latest card, unbeaten red-hot heavyweight hope Daniel Dubois was taken the distance for the very first time in his fledgling pro career. The 21 year old improved to 9-0(8) as he won a lopsided ten-round decision over veteran former world title challenger Kevin Johnson. “KingPin” Johnson, now aged 39, used all his experience as he took Dubois to the final bell. The score of the sole official was a commanding 100-91 for Dubois meaning Johnson could only manage to share one round. Now 32-11-1(16) Johnson could stick around and pick up reasonable money as a journeyman/trial-horse if he chose to, as he is still capable of giving a young up and comer a decent night’s work. Dubois went for the KO early on, and only Johnson’s survival instincts, his ability to fight on the ropes and his reliable chin allowed him to get through the early barrage. Throwing almost no punches back himself in these early rounds, Johnson had to weather the storm until Dubois’ attack faded. By the middle rounds, Johnson was at least chucking a little bit of leather back at his foe but it was still almost all Dubois. Johnson was never really hurt noticeable, but neither was Dubois, and the 21 year old’s stamina gave him no problems. As a learning fight, last night’s affair was okay, but it was no exciting fight for the paying fans. Still, no fighter can knock out everyone, and Dubois and his team will no doubt be pleased to have gotten the ten rounds under their belt. Dubois tweeted after the win that he will be going straight back to the gym and that it will then be on to the next fight. It will be interesting who Warren puts his young star in with next. Dubois has now boxed three times here in 2018 and it would be good if he could get one more bout in before the end of the year. Last night’s card had another distance fight, as unbeaten super-lightweight Jack Catterall won his grudge-match with Ohara Davies via dull 12-round unanimous decision. It was far from the exciting fight the fans wanted, but Catterall, 23-0(12) retained the WBO inter-continental strap with his 118-110, 115-113, 115-113 decision victory. Davies falls to 18-2(14).